van Eijck, D.J.N, Parikh, R, Pauly, M, & Verbrugge, R. (2009). Social Software and the Ills of Society. 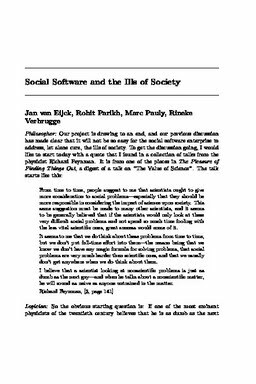 In Discourses on Social Software. amsterdam university press.